Assessors, Boards of Assessment Review and Small Claims Hearing Officers will not always take the word of a taxpayer as the only proof of the grievance. Information on the grievance property or any of the comparison properties should also have documented proof. Information taken from the County website, recent sales and photos need to be organized as well as documented. A taxpayer may believe the more information and proof they have would improve the chance of receiving a reduction in their assessment. With past experience, this is not the case. Assessors, Boards of Assessment Review and Hearing Officers can be overwhelmed. The Argument Worksheet is designed for use with the Comparable Sales and Property Analysis Approach (see below) when grieving an assessment by Unequal Assessment. The worksheet allows a taxpayer to list comparable properties to their own by either recent sales or current Full Market Value and then add or subtract values to make each comparable property equitable to the property being grieved. It is suggested not to combine both recent sales and Full Market Value properties on the same chart but instead make two separate charts. According to the pamphlet, New York State suggests a taxpayer finds a minimum of three comparable properties to be able to estimate the market value of your home. This website recommends ten comparison properties for a more accurate market value. The pamphlet lists eleven attributes to compare properties, this website lists fifteen. The pamphlet tells the taxpayer "to guess what the property would have sold for if the property had the same characteristics as your own." This leaves the taxpayer ripe for denial as the assessor is always presumed to be correct. As it is with almost every value with assessments, they are only educated guesses. Striving for equity, an estimated list of values for each attribute has been provided for this website. The list is called the Comparable Sales Analysis Adjustment Formula. Because the age of a property being grieved can range from the 1800's to modern day, an estimated cost value and timeframe has been chosen of 1990. Many of the older properties have had some sort of renovation from the time they were built so adjusting the prices from the time they were built would not be equitable. This is also known as the Effective Year Built. Taking a timeframe of 1990 is a median year between properties of 1962 to modern day. Again, the values are only an estimate and not the actual costs, which no one, not even the assessor, can provide. 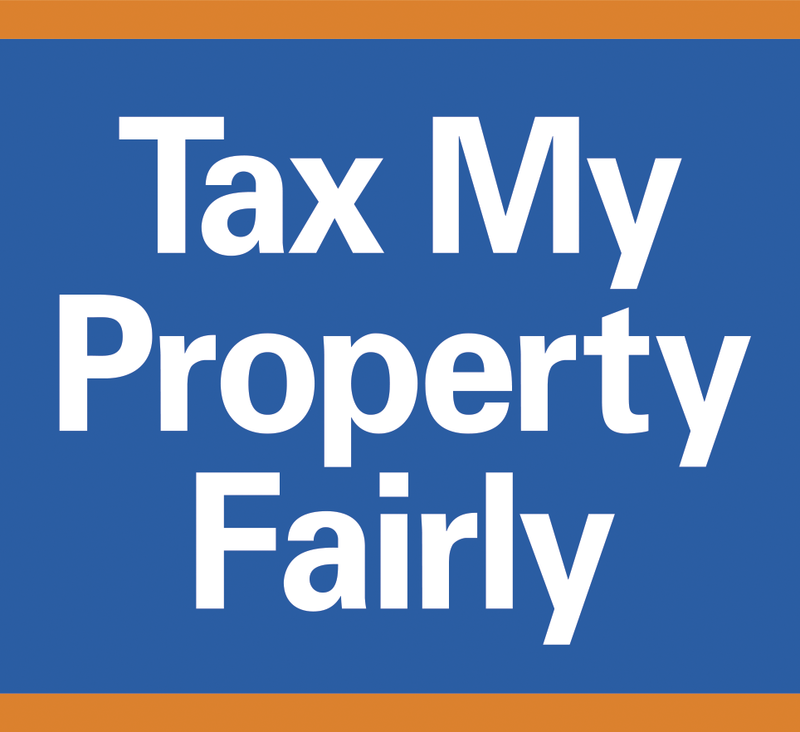 All information can be found on the local County Real Property Tax Data website. There can be a wide range in the ages of properties being grieved. It is impossible to have a completely accurate price on adjustments between two properties. To be as fair as possible, the adjustment prices are for the timeframe of around 1990. This is mid-range between houses built or remodeled in 1962 to present day. Assessor's Estimated Fair Market Value - This can be found on a tax bill, County website or from the assessor. It is the amount the assessor believes a property would sell for under normal selling conditions. Year Built (Depreciation) - This is the difference between the grievance property and the comparable property. If the comparable property is older than the grieving property, add the value to the comparable property. If the comparable property is newer than the grieving property subtract the value from the grieving property. 21-40 years: 5% of the assessed value of the residence portion only of the assessment. 41-70 years: 10% of the assessed value of the residence portion only of the assessment. 71 or more years: 15% of the assessed value of the residence portion only of the assessment. Square Feet - This is the square living footage of each residence. To get an estimate of the value per square foot, take the comparable property's residential assessment only and divide it by the square feet of the residence. Next take the difference in square feet between the grievance residence and the comparable residence and multiply it by the amount per square foot of the comparable property. If the square feet of the comparable property is more than the square feet of the grieving property, subtract this amount from the comparable property. If the square feet of the comparable property is less than the grieving property, add this amount to the comparable property. Ex: Assessed amount $150,000.00 divided by 1200 square feet = $125.00 per square foot. Difference in square feet between the two properties is 250. Multiply 250 x $125.00 = $31,500.00 Add or subtract this amount from the comparable property. Bedrooms - There is no adjustment here. The amount of bedrooms is already figured in to the square footage of the residence. Any adjustment here would be double dipping. Bathrooms - Only adjustments here would be for fixtures such as tubs, showers, vanities, whirlpools, toilets etc. All other adjustments such as square footage is already figured in. If the comparable residence has more bathrooms than the grieving residence then subtract the difference from the comparable residence. If the comparable residence has less than the grieving residence then add the difference to the comparable residence. Kitchens - Look closely to see if there may be an in-law apartment included in the comparable residence. Many times a second kitchen may be listed that goes unnoticed. This would include additional cabinets, counter tops etc. If the comparable property has more than the grieving residence then subtract that amount from the comparable residence. If the comparable residence has less than the grieving residence then add that amount to the comparable residence. Fireplaces - Fireplaces have a wide range of values. The best way to estimate a value of a fireplace is on the assessed value of the comparable residence. If the comparable residence has more than the grieving residence then subtract that amount from the comparable residence. If the comparable residence has less than the grieving residence than add that amount to the comparable residence. Basement - There are many classifications for basements. The amounts used here are for what it may cost to build each classification from a slab or pier. If the comparable residence has a higher value basement (full) than the grieving residence (partial) then subtract the appropriate amount from the comparable residence. If the comparable residence has a lower value basement (partial) to the grievance residence (finished) then add the appropriate amount to the comparable residence. · Finished: This should be already included in the total square living footage of the residence. *Please note: Some assessors do not include finished basements in the square footage of the residence. They are considered recreational areas. There are five definitions used by assessors. Poor, Fair, Normal, Good & Excellent. Generally when comparing residences try not have more than a two category difference between the two. If the comparable residence is better than the grievance residence then subtract that amount from the comparable residence. If the comparable residence is less than the grieving residence then add that amount to the comparable residence. · Poor to Fair: 5% of the residential assessment only. · Fair to Normal: 5% of the residential assessment only. · Normal to Good: 5% of the residential assessment only. · Good to Excellent: 5% of the residential assessment only. · Fair to Good: 10% of the residential assessment only. · Normal to Excellent: 10% of the residential assessment only. Garages/Barns - To find information on a property's individual garages and barns, enter the property's identification number on the County Real Property Tax Data and look under improvements or additional inventory. Descriptions are generally vague at best. If the comparable property has more barns or garages than the grieving property then subtract the appropriate amount from the comparable property. If the comparable property has less barns or garages then add the appropriate amount to the comparable property. Pools - Only in ground pools are assessable. In ground pools can vary greatly depending on size and landscaping. Three classifications can be made here to help in the adjustment process. Satellite imagery is the best way to see the type of pool without actually going onto the property. Location - Location makes a difference with Market Value from taxing jurisdiction to taxing jurisdiction. Always try to have comparable properties that are in the same taxing jurisdiction as the grieving property. It is often said a comparison property from a village to one that is in the country can not be used. Just as many people like the country as a village so that is not a valid reason for denial of a comparable property. Acreage - The amount of acreage can always be adjusted for comparable use. The base amount is that of the grieving property. If the value of the comparable property is higher than the base amount of the grieving property, then subtract the higher amount from the comparable property. If the value of the base amount is lower than the grieving property then add that amount to the comparable property. If the grieving property has lakefront try to have all the comparable properties also to have lakefront. It can be done but it is hard to estimate the impact that certain lakefront properties can have when comparing to properties without lakefront. Effective Year Built - This is used by some assessors and not by others. An effective year built is the actual date that is used for assessment. A house that was built in 1920 but was completely remodeled in 2010 could have an effective year built as 2010. Always use the effective year built if available for comparison purposes. Any assessor that does not use an effective year built only creates more unequal assessments in the tax roll. Adjusted Sale Price - Once the adjustments are completed in every category, an estimation of what each comparison property could sell for with all items being equal to the grievance property can be made. Beginning with the Fair Market Value the assessor has established for a comparable property, add or subtract the adjustments until a new total is made. This is called the adjusted sale price. Do this for each comparison property. Take all of the new totals and add them together. Divide this number by the total number of comparison properties. This is the grievance property's owners new estimated average market value when equally compared to the other properties on the same assessment roll. Higher Percentage of Value - Once the grievance property owner has established a new estimated average market value, the percentage of value can be obtained. The higher percentage of value is the difference between what the grievance property owner is assessed by the assessor and the average assessment of the comparison properties used by the grievance property owner after making adjustments in the criteria to make each property virtually the same. This is done by taking the assessor's Fair Market Value and subtracting the grievance property owner's new estimated average Fair Market Value. This number is then divided by the assessor's Fair Market Value and multiplied by 100. Sign up to receive our newsletter, which will be published periodically with reminders, notices of events and other importnt information on property taxes in Upstate NY. Please note, we will not share or sell your contact information. Copyright © 2018 Tom Golisano. All Rights Reserved.